Politics is now like a regular occupation in South Africa and those who are involved in it are called politicians. These set of people are known to be very rich and in this post, we will be taking a look at the richest politicians in South Africa and their net worth. Top of our list is Cyril Ramaphosa who is a South African politician, activist, businessman, and trade union leader. He was the South African deputy president under the Jacob Zuma regime. He is the chairman of the national planning commission which is known to be accountable for the strategic planning of the country. 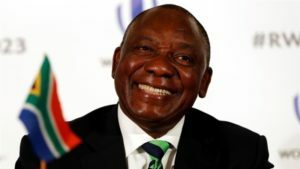 Cyril Ramaphosa has an estimated net worth of $700 million making him the richest politician in South Africa. 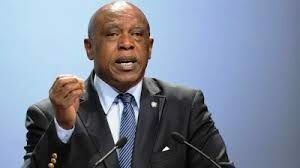 The 2nd on our list is Tokyo Sexwale who is a South African businessman and politician. He is also a former political prisoner and the anti-apartheid activist with charismatic leader Nelson Mandela. He is the major participant in the diamond industry and holds the second biggest company after the De Beers. Tokyo Sexwale is the director of the Absa Limited, Allied Electronics, and Gold Fields and is also the chairman of Trans Hex and Northam Platinum Limited. Tokyo Sexwale has an estimated net worth of $200 million making him the second richest politician in South Africa. Next on our list is Sipho Nkosi who is a South African businessman and was appointed as the director of the business leadership of South Africa in 2014. His great career started with the Ford Motor company as the market analyst in 1980 and he also worked as the marketing coordinator with the Anglo American coal. He is currently the director and the CEO of the Exxaro Resources and the non-executive director of the Sanlam. Sipho Nkosi has an estimated net worth of $163 million making him the third richest politician in South Africa. The fourth politician on our list is Phuthuma Nhleko who is a South African politician and businessman; He is the former CEO of the MTN Group which is the African largest holding group of GSM cellular networks and has 6000 employees and reported a turnover of US $ 29 million. He is also the chairman of the African worldwide investment holding company that holds the stakes in the information technology and telecommunication industries. Phuthuma Nhleko has an estimated net worth of $142 million and making him the fourth richest politician in South Africa. Vincent Mntambo is a South African politician, businessman and the founder of the Sediba Accord and Sediba Consulting. He also served as the senior lecturer in the Natal University. He has a long professional career as an executive of several conglomerates such as the chairman of the ASG business solution, executive director of IMSSA and the non-executive director of the Eyesizwe coal. Vincent Mntambo has an estimated net worth of $95 million and he is the fifth richest politician in South Africa. Next on the list of richest politicians is Mike Teke who is a South African politician and the president of the SA Chamber of the Mines. He is the founder of the beneficiation and mining company “Dedicoal” and the non-executive director of the Rolfes Tech Holdings. He is also the chairman of the Optimum Coal which he co-founded and the shareholder of the cratos capital. Mike Teke has an estimated net worth of $64 million and he is ranked number six on the richest politician in South Africa. Frederik Willem is a South African politician and served as the president of country’s state from 1989 to 1994. He was the 7th and the last head of the South Africa state under the apartheid era. He played a major role in transforming South Africa into a non-racial democratic state thereby reducing the discrimination and giving equal voting rights to the citizens of South Africa. He received the Nobel Peace Prize with the Nelson Mandela in 1993 for his contribution to the end of apartheid in South Africa. Frederik Willem has an estimated net worth of $46 million making him the 8th richest politician in South Africa. Jacob Zuma is a South African politician and the former president of South Africa. He was first elected in the 2009 general election and was re-elected again in 2014. He is the leftist economist and has played a major role in the development of trade unions as well as the youth league and women’s league which is a big economic change in the country. Jacob Zuma has an estimated net worth of $20 million and he is ranked ninth in the list richest politicians in South Africa. Thabo Mbeki is also a prominent South African politician and was the president of South Africa from 1999 to 2008 as the 2nd post-apartheid president of South Africa. He used his authority as the president and formulates the neoliberal structure of country’s economy to increase the household income and jobs creations and during his occupancy, the economy grew at an average rate of 4.5 percent per year. Thabo Mbeki has an estimated net worth of $10 million and he is the tenth richest politician in South Africa. We have seen the full list of top South African politicians in South Africa. Things might have changed but we will keep this list updated with more rich politicians in South Africa. You can let us known if you believe there’s someone that is meant to be on this list who was not added.